Lower costs, greater efficiency… The promises of outsourcing are many, and industry giants like Boeing are even externalizing strategic tasks like innovation. But what happens when companies become too dependent on external service providers? Boeing had a bitter outsourcing experience with its latest full-size aircraft, the Dreamliner, launched three years late at double the foreseen cost. 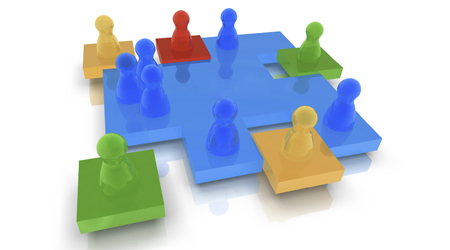 Successful sub-contracting calls for far more collaboration and information sharing than most companies are used to. In January 2011, Boeing announced the seventh delay of the launch of the Dreamliner (Boeing 787). Initially presented in April 2004, the airliner had been saluted as a veritable revolution, the fruit of an impressive collaboration by numerous partners. Seven years later, analyst Peter Cohan hit the nail on the head when he said, “Boeing outsourced Dreamliner production far too much.” Like Boeing, what kinds of risks do companies that outsource run? • Loss of control and technological know-how: Even according to the CEO of Boeing, the extensive outsourcing of the 787 (put in place to reduce costs) turned against the company. “We spent far more money making up for this decision than we would have if we had kept core technologies in-house.” In the end, the airliner cost $32 billion, twice as much as initially planned. • Lack of quality service: It can be difficult to control the quality of outsourced services. Customer service departments have seen this cost: 60% of consumers who just cared about low prices 10 years ago are now demanding quality customer service. This is why companies such as Dell are progressively repatriating customer services from India back to the United States. • Threats to reputation: In January 2012, the New York Times published an in-depth investigation into the bad behavior of Apple by way of its supplier Foxconn: “Employees work too many hours, sometimes as much as seven days a week, and they live in over-crowded dormitories.” Results: Apple carried out a thorough audit of its contractors in order to counter criticism. Ultimately, Apple exerted pressure on Foxconn, which led to, among other measures, the supplier agreeing to increase the salaries of its Chinese workers by nearly 25%. Business Digest no. 224 March 2012. 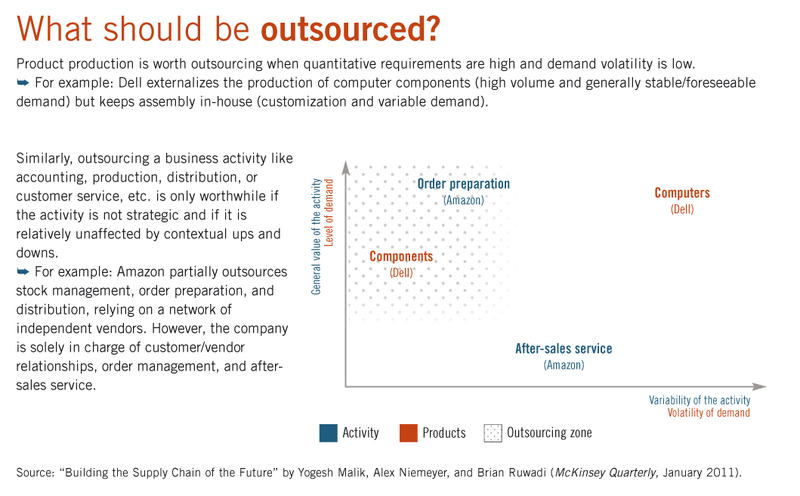 Based on “What Happens When You Outsource Too Much?” by Francesco Zirpoli and Markus C. Becker (MIT Sloan Management Review, winter 2011), “Building the Supply Chain of the Future” by Yogesh Malik, Alex Niemeyer, and Brian Ruwadi (McKinsey Quarterly, January 2011), and “Baromètre Outsourcing Europe. De l’externalisation à la fragmentation: business model du 21e siècle?” Ernst & Young, 2009. An app for managing your mental energy!